TONIGHT! @OTCworldwide’s “Lights Out Glow Party” at @LaceDC! Music by @DJMIMDC! 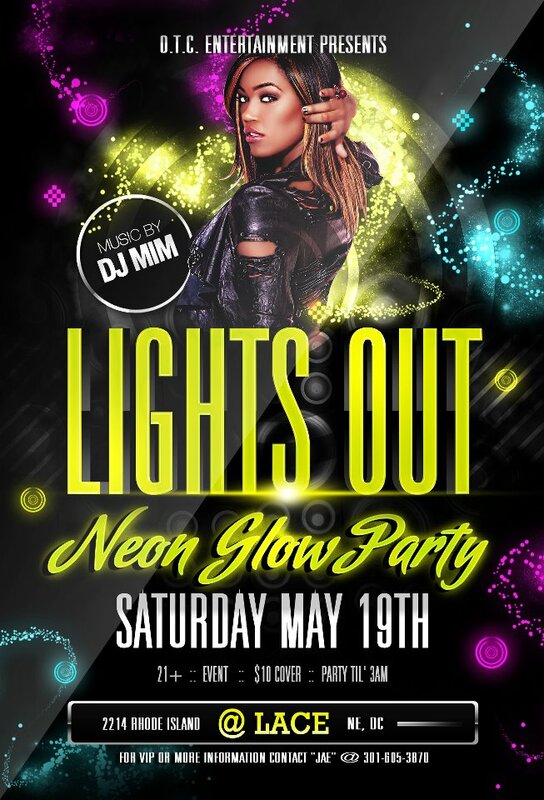 This entry was posted in DJ MIM, Events and tagged dj mim, Lace Nightclub, lesbian, OTC, washington dc by MIM Entertainment. Bookmark the permalink.